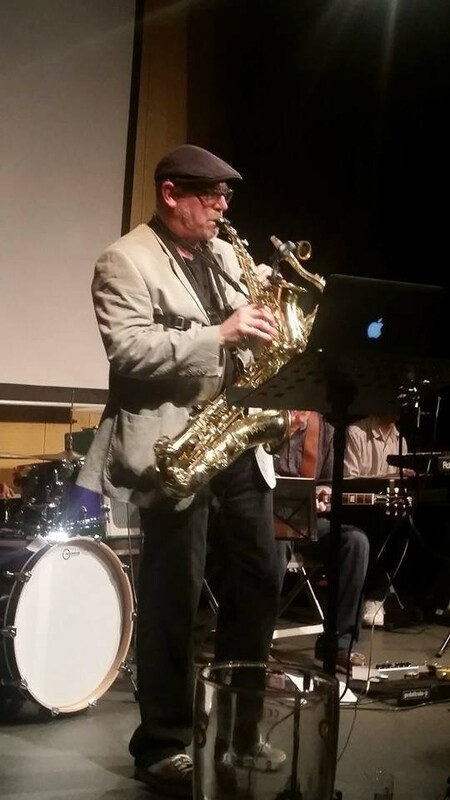 Phil Furneaux gave his first sax concert to an audience of 2000 in North Wales during the celebrations of the investiture of the Prince of Wales when he was 17 something he is embarrassed about being a republican! He spent the major part of his life playing rock guitar but then was able to buy a new sax with his mother's bequest at the age of 40. He formed a band "Heidi and the Soul Merchants" which toured a rocky style of soul for 4 years. Then he played in a number of duos for wedding, parties and small gigs. The turning point came when he became proficient at home studio recording and was able to develop his own style. His album "A Real Distraction" (2014) is a turning point in his career. His tour of the album in the North West of England has given him confidence to take his music further. Phil has always enjoyed playing with his old and beloved friend Krys Markowski. 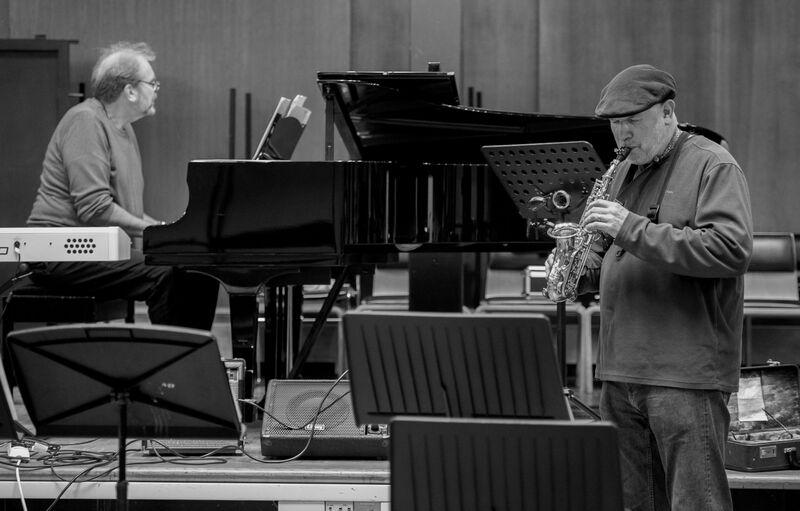 FuMar's new album "The Lanercost Sessions 2" has allowed Phil and Krys to develop their own style of quirky interpretations of some classic standards and will include some original material and some jazz-classical fusion. Phil Furneaux: A Real Distraction CD released in July 2014: cdbaby.com/cd/philfurneaux. Album by FuMar: "The Lanercost Sessions 1" 2014. Album "Emotive Moods" Saxiano 2016: cdbaby.com/cd/emotivemoods2 (Saxiano are Phil on curved soprano and Alice Rosser on piano). July 2016: FuMar album "Lanercost Sessions 2": cdbaby.com/cd/fumar. 1990: "The Serious Average Band" a five piece rock band playing guitar. 1995: Releasing "Free Spirit" with Patrick Walters, duo performances in North of England. A mixture of reggae tunes composed by Patrick. 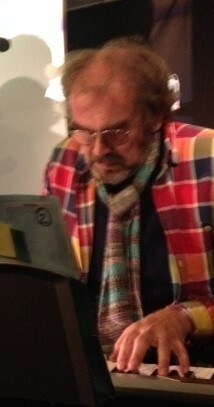 2012: Concerts in San Franciso and Toledo of his own compositions. March 2013: With Krys Markowski duo performance in Paris Belleville café "A l’an droit". July 2014: Phil Furneaux A Real Distraction CD released. November/December 2014: Set up the ART Band and toured the North West of England. March 2016: Classical first concert with Alice. July 2016: Concert in Lanercost Priory July 2016: Video on YouTube. Krys Markowski has played the piano since he was five. At the age of 58, encouraged by his saxophonist friend Phil Furneaux, he decided to do it more seriously. He is trying to become a jazz pianist. Currently his "comfort zone" repertoire includes standards from the 30s, 40s, 50s and 60s as well as Brazilian bossa nova. He has always liked atonal music and free jazz. It could be that one day he will venture into these more contemporary registers. His virtual mentor is the US pianist and composer Ran Blake. He has played with Phil Furneaux almost exclusively in duo format. Track 1: "Sunday Morning in Paris (saxophone & piano) and track 8: "In a Sentimental Mood" (saxophone & piano) on Phil Furneaux: A Real Distraction CD, released in July 2014. July 2016: FuMar album Lanercost Sessions 2: cdbaby.com/cd/fumar. January 2012: With Phil Furneaux duo performance on Parisian bateau mouche for friend’s 60th birthday party. March 2013: With Phil Furneaux duo performance in Paris Belleville café "A l’an droit"..
May 2014: Recording session in Brampton, UK. July 2015: FuMar album Lanercost Sessions 1. July 2016: FuMar album Lanercost Session 2: cdbaby.com/cd/fumar. July 2016: Concert in Lanercost Priory. Video on YouTube.